We cannot deny the fact that in today’s highly technological world, everything can be instantly recorded and easily uploaded on the internet. This is the main reason why many video streaming websites such as YouTube, Vimeo, Dailymotion and all others are sprouting like mushrooms in the wild. Aside from watching interesting clips, you can equally stream full length movies and TV shows without even paying a dime. Big technological companies expressively join the online streaming frenzy by creating video specific add-ons such as the DownloadHelper. With this small browser utility, you can easily grab online videos playing on the window. Aside from the ability to capture streaming videos, DownloadHelper can also save pictures and audios from various sites. Keep in mind that this third-party software is not a dedicated video grabbing software but rather an extension directly installed on Firefox. Luckily, not only windows users can use it flexibly, there is also a DownloadHelper for mac openly available for download. Open Firefox browser on your Mac and click “menu” tab. On the drop down list select “add-ons”. Type in “DownloadHelper” on the search bar. Restart Firefox and you’re good to go. True that DownloadHelper Mac version can grab online videos easily and efficiently. It doesn’t cost a single cent and gives you the option to save contents according to your preferred format. DownloadHelper can also detect videos instantly and allows multiple downloads all at once. However, frequent crashing is a major problem with DownloadHelper. Many users are reporting this bug especially when watching videos in full screen mode. Sending a crash report to Firefox identifies DownloadHelper as one of the culprits. Another major downside of DownloadHelper is that it only works on Firefox, nothing more nothing less. If you are not a big fan of Firefox and deeply in love with your Safari browser, there’s no way you could ever install DownloadHelper. So what’s the best solution? 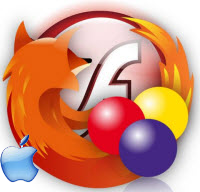 Find an alternative that works almost the same if not better than the DownloadHelper firefox mac. If you’re not into browser add-ons, plugins or extensions, one of the best alternatives over DownloadHelper is Video Grabber for Mac. This tool comes 100% free with no hidden fees, registrations or memberships required. You can use it to download online videos from popular sites such as Metacafe, Dailymotion, YouTube, Vimeo and more. Additionally, Video Grabber allows you to save videos in different formats as well as resolutions. You can choose from the basic 360p up to high quality 1080p. This online app is likewise easy to use, a simple copy and paste is all it takes. But before using Video Grabber, make sure that your Mac browser is equipped with Java Script. You should similarly permit third party apps to run by going to “preference” then “security” and “privacy”. After that, hit the padlock to make changes and tick the box that says “allow applications downloaded from – anywhere”. This live video demo will walk you through the steps to download. Those looking for a more professional and complete alternative over video DownloadHelper mac should try out software program – Video Downloader for Mac. It works with the latest operating system Mavericks and guarantees to grab streaming videos without losing quality. Moreover, it supports different formats such as MP4, WMV, FLV, 3GP, MOV, WebM and all others. What’s great about this software is that it can download the whole YouTube playlist as well as multiple videos at lightning speed. The Mac Video Downloader is loaded with many features not available on the DownloadHelper firefox mac. For instance, it can convert any online or local video, play various media files, organize files in the library, edit videos or add special effects. Copy the URL of the video you want to grab. Click “Paste URL” and choose your desired video quality. Hit “Ok” and download will start automatically. Click the “detector” icon located on top. 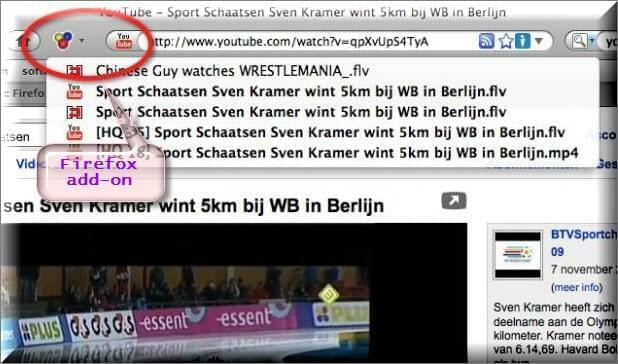 Use the built-in web browser to search the video you want to download. The software will automatically grab the clip. Copy the URL of the YouTube playlist or channel you wish to save. Hit “paste URL” button, and after fetching links, choose the files you want to grab. Tap “add to download”, then select video quality and desired format for downloading.